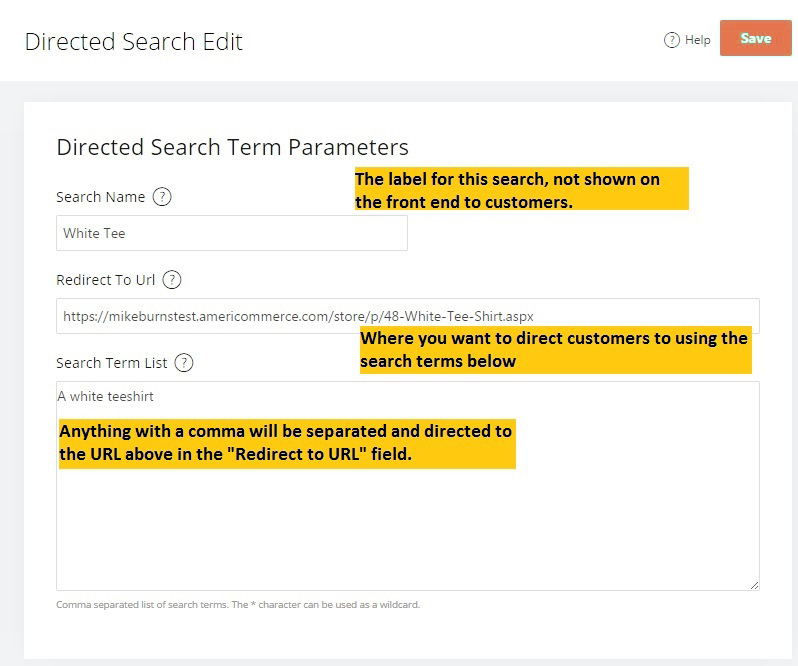 The Directed Search feature is a pretty, nifty, feature that is in the AmeriCommerce online store platform. It is a feature, that when a customer does a search on your website, you can send them to a very specific page. For example, say someone does a search for "birthday" on your site. 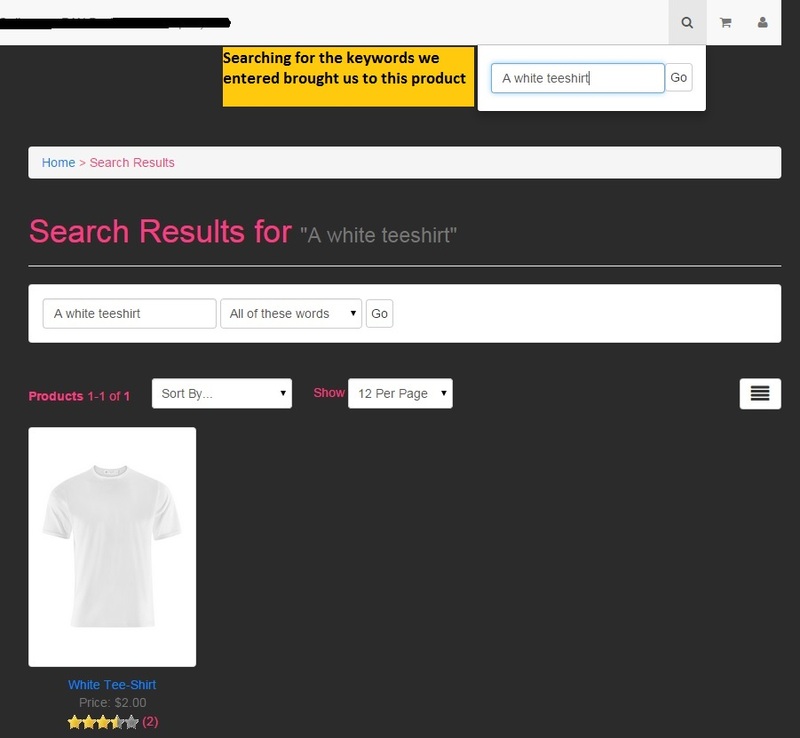 When a customer does a search for "birthday", you want to send them to a specific product page. Using the Directed Search feature allows you to set something like this up. Why would you use this? To provide a better user experience to the customer, and to get them to their item with as few clicks as possible. To get to the Directed Search feature, you will want to log into your admin console. From here, go to Settings > Search Engine > Directed Search. First, you'll want to enable the the directed search by putting a check in the Allow Directed Search box. Afterwards make sure to save it. Now, you will want to click the New Directed Search option, and it will open a menu where you can put in the search term, and the URL you want to redirect them to. Note that the Search Term List is comma separated, so if you need to enter multiple terms, you separate each term by a comma. Afterwards, just make sure to save! And that is all there is to setting up the directed search. You can test this by going to the home page of your website. Then put in the search term you assigned to the directed search, and make sure it brings you to the page you attached instead of the search results page. this article should reference the data import in "tools" "imports" "other imports" ... and in votesparkpay.com the suggestion should be noted as solved ... I just wasted several votes!! !